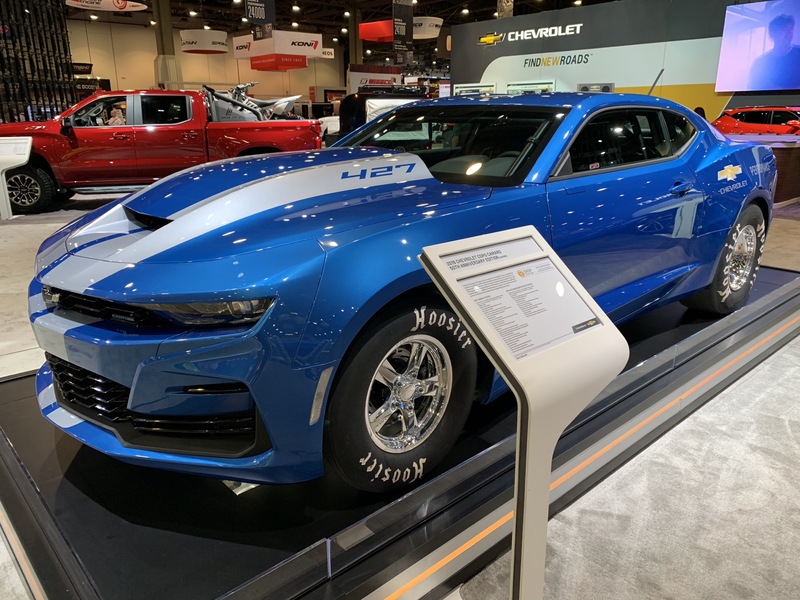 Chevrolet’s electric COPO Camaro concept from the 2018 SEMA Show in Las Vegas may seem like a reasonable sort of fellow, what with his quiet, eco-friendly powertrain and relatively mild appearance, but you do not want to piss him off. 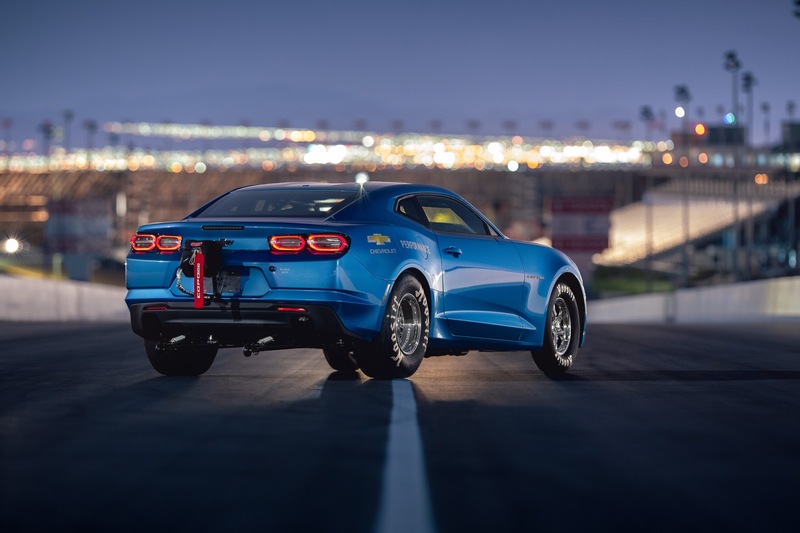 In a video clip straight from Chevrolet, the electric COPO Camaro plies all 750 of its high-voltage horsepower to the pavement, performing a hushed, almost eerie burnout at the dragstrip. What little noise we do get is likely just as much from the tires slipping against the pavement as it is the powertrain getting worked out, which could take some getting used to – assuming drag racers do indeed end up going the electrification route as our world warms and our ice caps continue to melt. 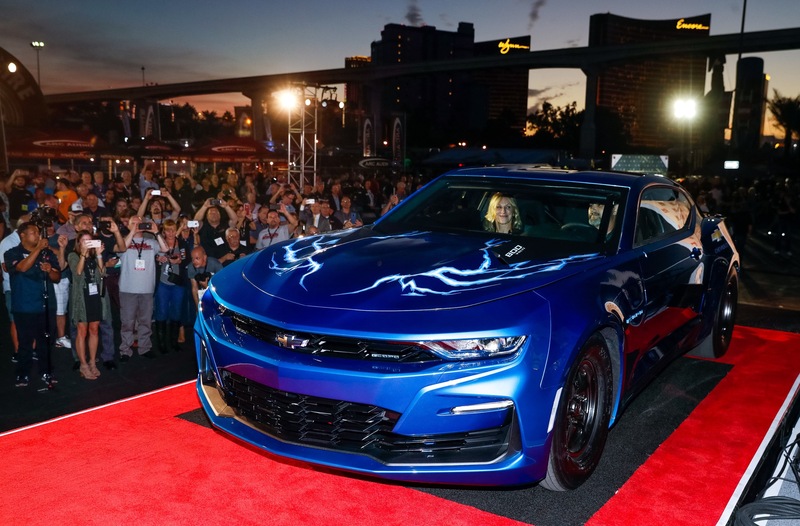 Interestingly, however, it doesn’t appear to be the emissions-free aspect of the electric COPO Camaro concept that compelled GM to build it and bring it to SEMA 2018. More rather, it seems to have been partly about the performance, and partly about the novelty. 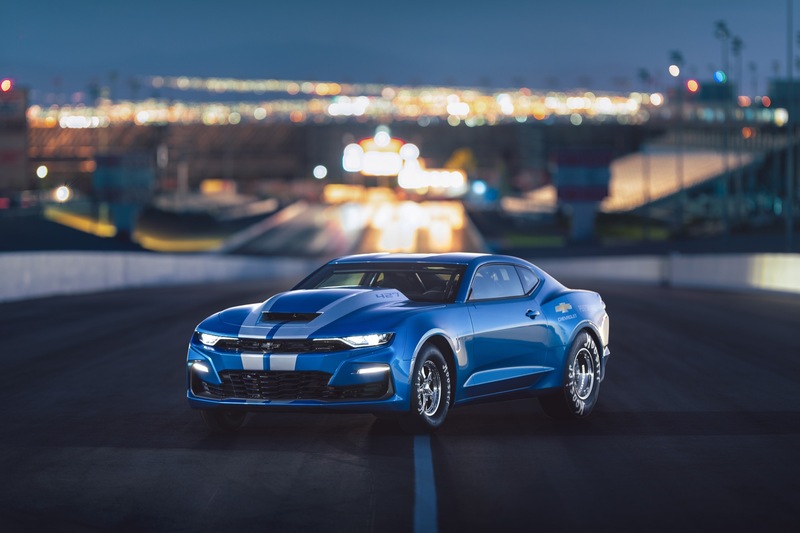 Electric motors of the sort typically used in automobiles tend to produce near-maximum torque from very low RPM, giving them ferocious launch and acceleration performance relative to internal-combustion engines with roughly the same peak power output. 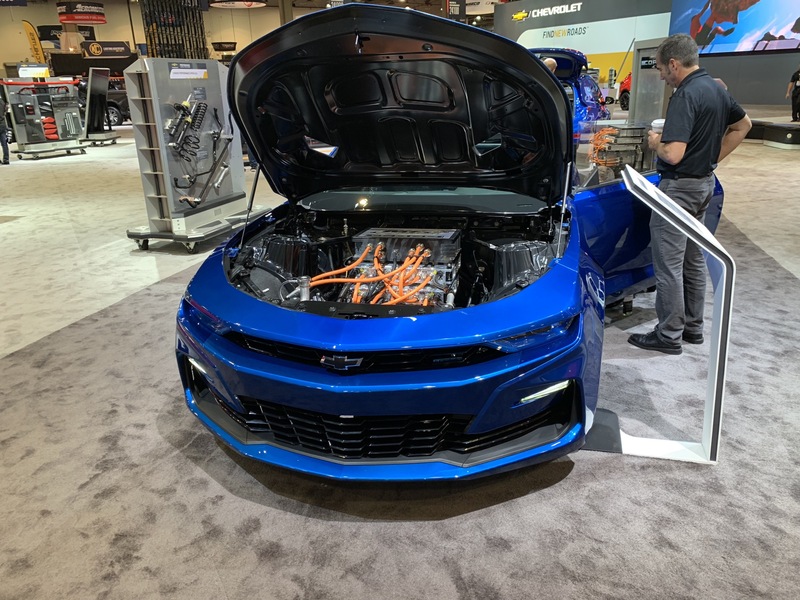 This means that each of the eCOPO Camaro’s 300-lb-ft BorgWarner HVH 250-150 motor assemblies can punch well above its weight in the area of straight-line performance. 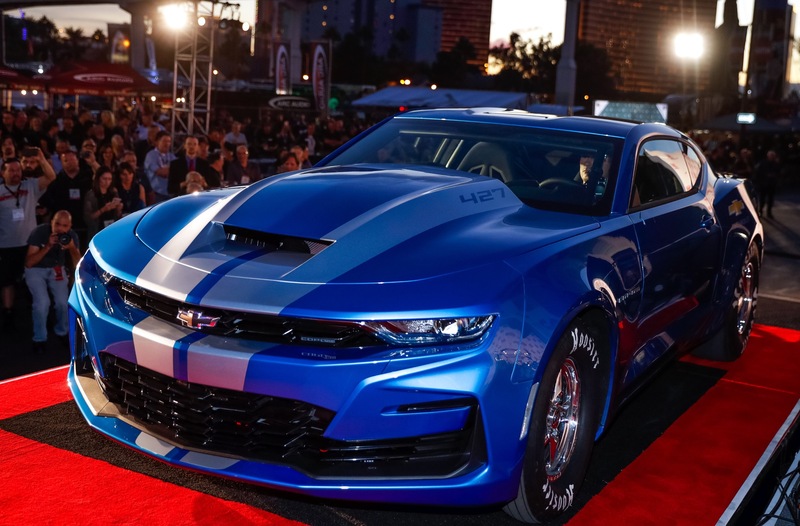 With a racing-prepped Turbo 400 automatic transmission and a solid rear end like on the regular production COPO Camaro, Chevy reckons the eCOPO ought to be capable of running the quarter-mile in the nine-second range. That’s quick enough to require a special license if one is to do it at any NHRA-sanctioned dragstrip. 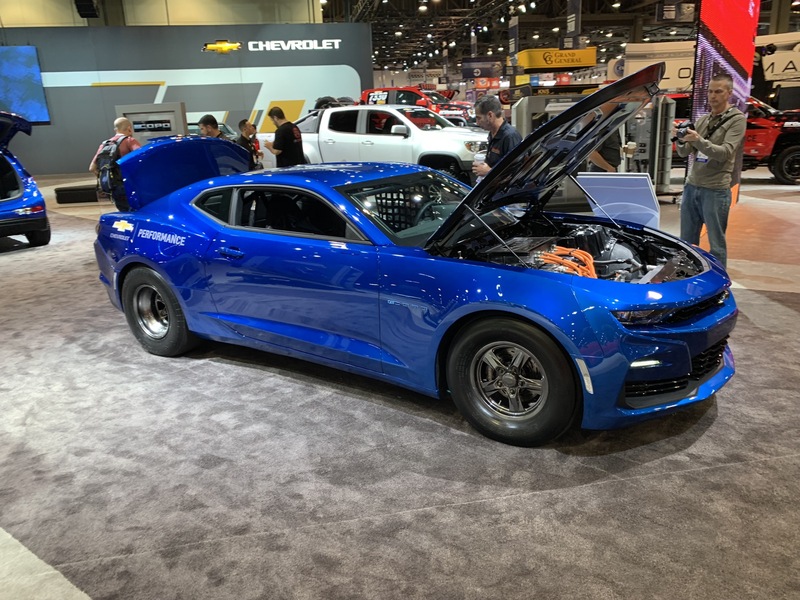 Be sure to check out the video above to witness for yourself just how odd it is to watch a full-sound burnout unaccompanied by the usual boisterous internal-combustion V8. 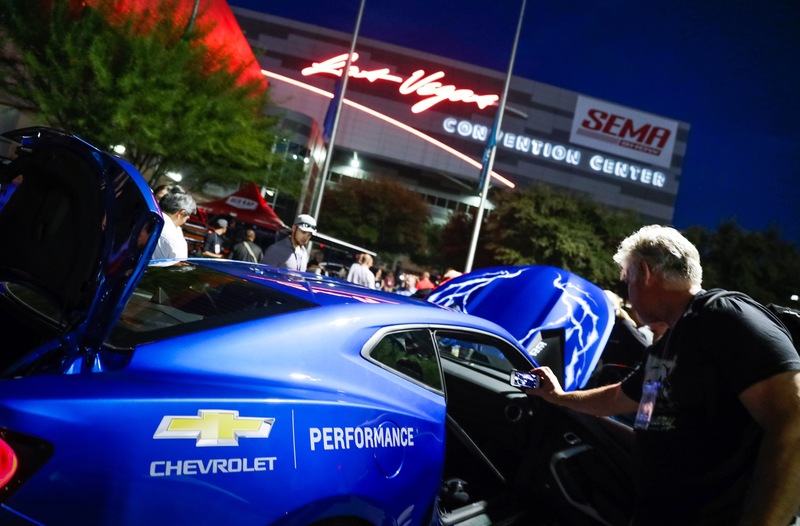 Stay tuned for all the latest GM SEMA news. 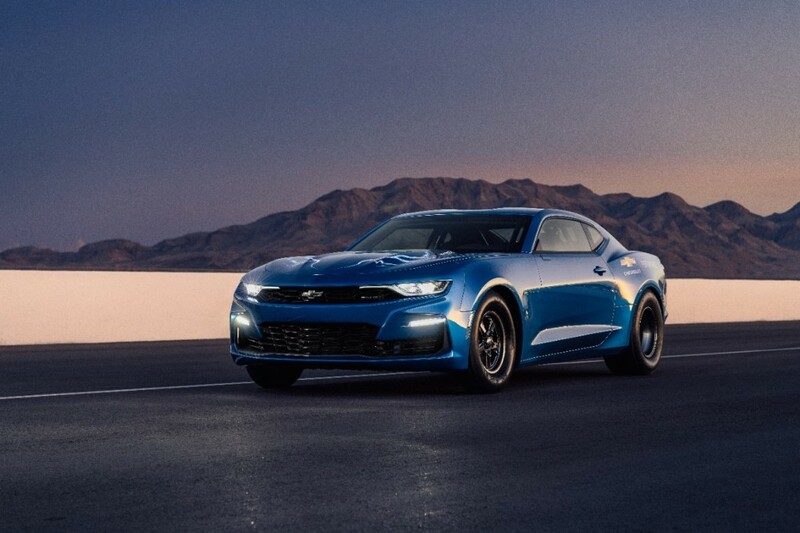 I am soooooooooo stoked about this Camaro!!!! 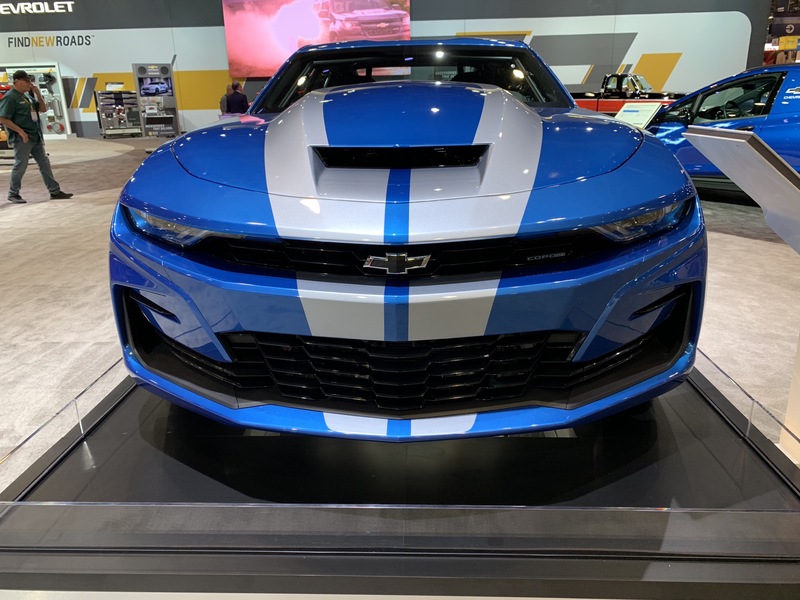 Now if they offered it in AWD it would most likely walk the ZL1 at the ‘Ring. 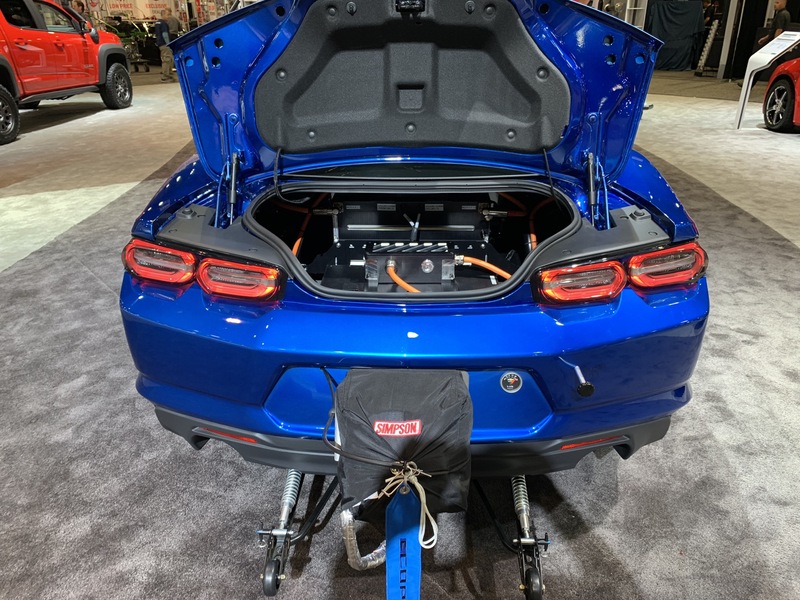 GM just drove a stake in the heart of their Performance Program with electric power that should be solely used by a Testosterone-Less Prius.